Want things that you can stick to other things? Look no further. 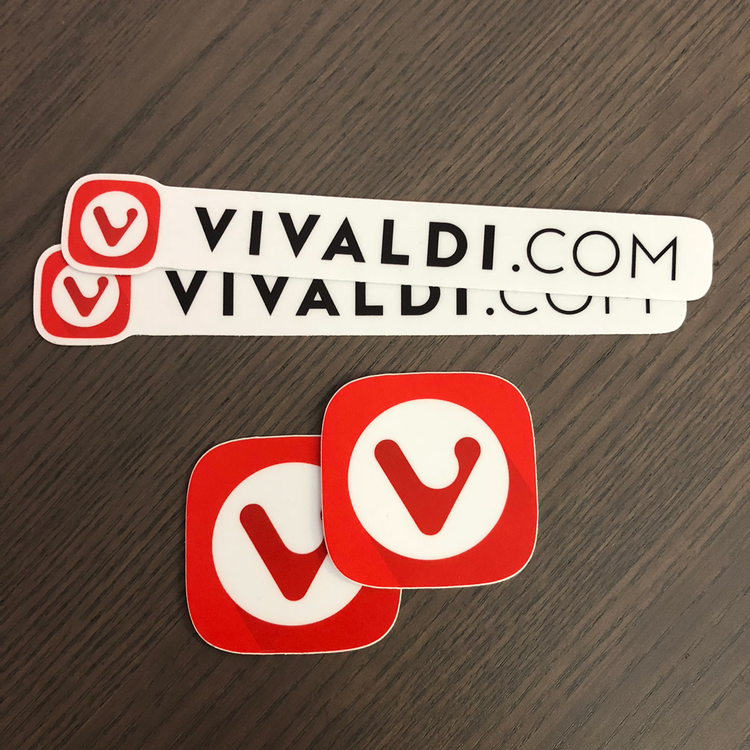 Get a pack of 4 Vivaldi stickers in high-quality vinyl. Icon sticker is 2 inches.